This is a large herb, with a perennial, tuberous, fetid root, most aromatic when growing in dry pastures, and a smooth, hollow, furrowed stem, about four feet in height. The leaves are pinnate, opposite; leaflets, from seven to ten pairs, lanceolate, coarsely serrated, and on long foot-stalks. The flowers are flesh-colored, small, and fragrant. Valeriana alternifolia fo. angustifolia (Kom.) Kitag. Valeriana coreana subsp. leiocarpa (Kitag.) Vorosch. Valeriana fauriei var. leiocarpa (Kitag.) Kitag. 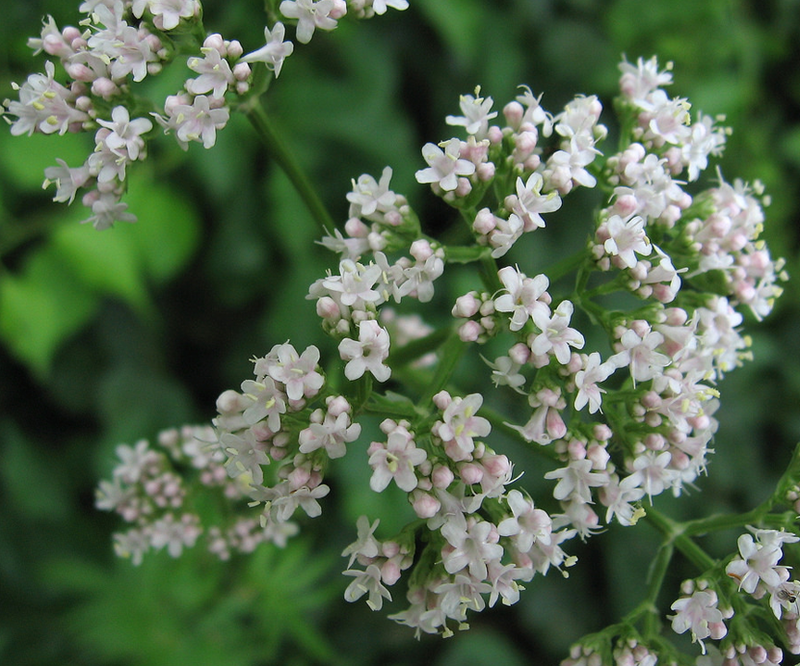 Valeriana stubendorfii fo. angustifolia Kom. Valeriana stubendorfii fo. verticillata Kom.